Back in 2008 Faith Matters, the organisation behind Tell MAMA (the Muslim hate crime monitor) organised a ‘cohesive communities’ project for British Sikhs and Muslims to address, ‘the growing gulf between Sikhs and Muslims in certain localised areas of England’. It was held in Corrymeela (Ballycastle) between 4th-6th July 2008, a centre famous for conflict resolution at the height of sectarian troubles in Northern Ireland. According to FOI disclosures seen by the NSO the project cost the taxpayer £33,600. 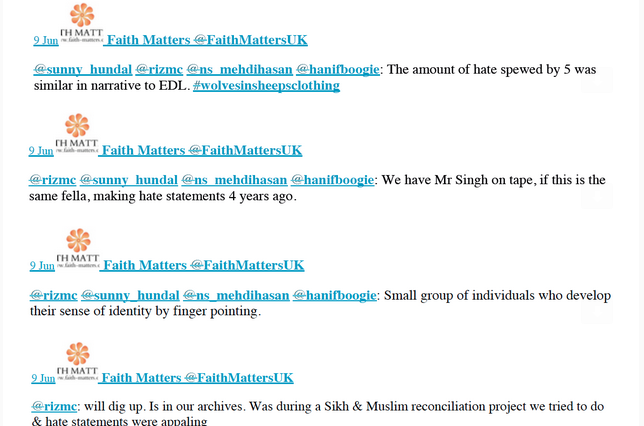 Despite the assurances given above, in June 2012, the following tweets (which were later removed following a complaint) making derogatory references to Sikh participants in Corrymeela were published by @FaithMattersUK. We understand Faith Matters/Tell MAMA has recently organised a ‘round-table’ to discuss hate crime with Sikhs. This is in fact an area in which Sikhs led by the NSO have made significant progress, firstly by unearthing a breakdown of data from the MET police (through FOI) that shows significant numbers of non-Muslims, or those of no recorded faith (in 2015 and 2016) are being recorded under the ‘Islamophobic hate crime category’. In addition, we have a firm commitment from policy makers on a specific project for Hindus and Sikhs with True Vision – the police hate-crime reporting portal, which we hope to progress with our partners in the Hindu community this year. In the circumstances, it is our advice that Sikh groups should be wary of any partnerships, given what we view to be a previous betrayal. Peers discussed Ofsted’s initiative in identifying unregistered schools, which resulted in the closure of 34 or so schools, the establishment of a counter-extremism hotline, which has been utilised by educators a total of 450 times since April 2015, and difficult situations in which teachers have faced intimidation when they try to address extremism or indoctrination. The issue indeed has wide implications for British society, and has affected amongst others Sikh educators. During the time of Trojan horse affair in 2014, it was reported that a Sikh heritage principal Balwant Bains, stepped down from Satley School and Specialist Science College due to relentless criticism from a Muslim dominated board. Last month another British born Sikh, Neena Lall head of St Stephens School in Newham received a backlash following a board of governor’s decision to ban the hijab for girls under the age of eight. 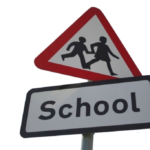 Following a concerted campaign by conservative elements, (part of which included a spoof video in which Lall was compared to Hitler), the school reversed their decision. This resulted in an unprecedented intervention in support of Lall from Ofsted’s chief inspector Amanda Spielman. The Home Affairs Committee inquiry into hate crime and its violent consequences have published our second piece of written evidence which can be viewed here. We are delighted that one of our policy recommendations from last year was heeded by Ministers, but it still needs to be implemented. We will be pushing for action on this specific commitment to Hindus and Sikhs, and would like to see the initiative implemented this year. Despite this limited success, the NSO continues to be disheartened by the government’s lack of parity when it comes to the suffering of non-Abrahamic faith communities. Especially given FOI disclosures to us (for 2015 and 2016) from the MET police revealed significant numbers of non-Muslims including Sikhs, Hindus, Christians, Jews, Buddhists, Atheists and Agnostics are being recorded as victims of ‘Islamophobic hate crime’. We will continue to hold the government to account on what has clearly become a bias and ‘Abrahamic-centric’ policy approach to hate crime. Our Director Lord Singh has supported a Bill designed to afford necessary protection for careers of medical practitioners who choose to object on grounds of conscientious objection when it comes to matters of life and death such as assisted suicide. 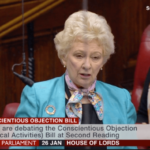 The Conscientious Objection (Medical Activities) Bill introduced by Baroness O’Loan had its second reading in the House of Lords last week. According to Baroness O’Loan the Bill ‘seeks to affirm as a matter of statute that nobody shall be under any duty to participate in activities they believe to take a human life. That means either in the withdrawal of life-sustaining treatment, or in any activity authorised by the 1967 and 1990 Acts (including activity required to prepare for, support or perform them).’ Baroness O’Loan believes such reform would re-establish legal protections for medical conscientious objectors, reaffirming Article 9 rights. ‘My Lords, I support this important Bill. It is a timely recognition of the importance of conscience and ethical belief in looking at the end-of-life decisions, and the increasingly complex issues and personal dilemmas, that many face in their daily lives. Speaking from a Sikh perspective, I fully support the Bill’s sentiments as well as its aims and objectives. Majority opinion can, at times, be unthinking and we need to be wary of being pushed, or pushing others, to support debatable attitudes that at times affront ethical and moral principles. He went on: ‘Something of the same dilemma was faced by Sikh soldiers when the Indian army attacked the Golden Temple in Amritsar in 1984. This attack on the holiest of Sikh shrines, on one of the holiest days in the Sikh calendar, was clearly political. Soldiers were ordered to shoot innocent pilgrims. Not surprisingly, some Sikh soldiers refused and were accused of mutiny. Some were shot, others were cashiered out of the army and some were to spend years in prison. They were accused of treason and disloyalty to their oath of allegiance to the state. True, yet in refusing to shoot non-combatants they were being true to the ethical teachings of their religion. This requirement to be true to our conscience is embedded in Sikh scriptures. Lord Singh continued: ‘In the Nuremberg trials at the end of the Second World War, many Germans accused of war crimes against the Jews and others pleaded that they were duty bound to follow orders, however questionable. The court held that the requirements of any state were secondary to the overriding norms of civilised behaviour. Rapid advances in the field of medicine and today’s increasing tendency to overfocus on the rights of an individual can easily lead us to ignore the rights of wider society, and the ethical dilemmas that sometimes questionable procedures pose for those immediately involved. The downside of what we do is not always immediately apparent. The initial, clearly limited and humane objectives of the Abortion Act 1967 have, over time, been largely ignored. Abortion has become contrary to the original intentions of the Act and the ethical teachings of most religions and beliefs. It has simply become another method of birth control. We must have the right to object and to not take part in what we consider to be the unnecessary taking of human life. The Human Fertilisation and Embryology Act 1990, which legalised embryo- destructive forms of research, the rapid expansion in molecular biology and new genetic modification techniques can impinge on deeply held ethical beliefs, and people should not be compelled to do anything that they believe is contrary to respect for life. While conscience clauses were included in the initial legislation, they have been continually eroded by social pressures to conform. Those involved in procedures that impact on sincerely held ethical beliefs must be given the right to opt out. The need to respect conscience goes beyond the field of medicine. Yesterday, I was invited by the DfE to give a Sikh perspective on relationship teaching in schools. As a Sikh, I am appalled at the undue emphasis on sexual relationships and sexual identity currently being taught in school. Young children are led to question their gender and are unhelpfully offered support to make permanent potential differences, which are generally passing phases in growing up. Parents and teachers should have a right to question or opt out of such teachings. To the sympathies that God has set within our spirits core”. The full debate can be read here https://nsouk.us12.list-manage.com/track/click?u=0f788213c84a862348b0c4265&id=8882ff4ae1&e=39e8e2ed33. The Bill will now pass on to a committee stage in the House of Lords.